A Danish micro brewery – in Mexico! They would have to be Danes, wouldn’t they? According to Henrik Papsø on ratebeer, there are two friends from engineering school behind this, who now also are brothers-in-law. Right now Cervecería Calavera west of Mexico City is only a tiny setup but they have a 2500 liter brewhouse waiting in Canada ready to ship once they have the building ready. Seems like they have won some medals already, we’ll just have to wish them luck! I seldom think about the smoking ban in pubs and restaurants across Europe. It’s mostly when I’ve spent some time in a smoky pub in Prague that I look back and feel pretty pleased that I usually can drink my beer without the nicotine. Sure, I understand the arguments against, and libertarian reflexes tell me that this is just another attempt to limit personal freedom. But it’s hard to argue with success. 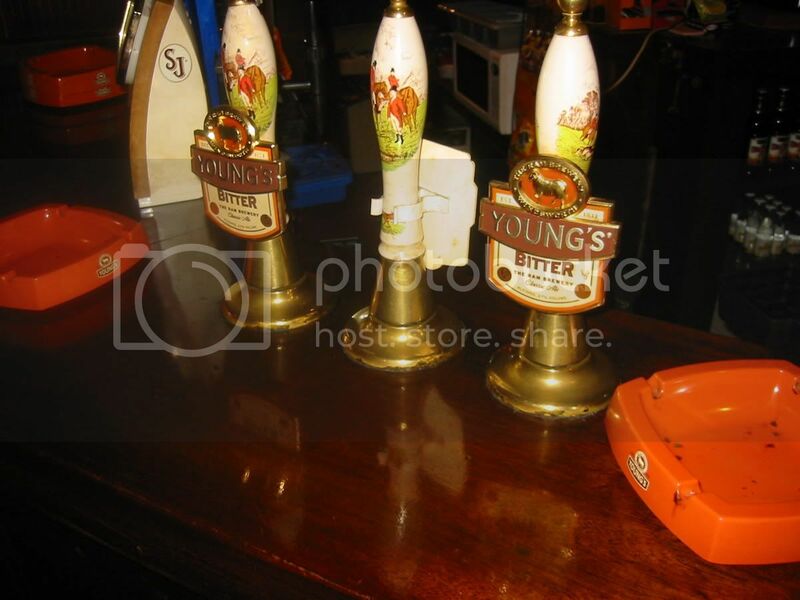 I enjoy going to a pub or club, either just for the beer or to enjoy a concert and not having to hand in my jacket to the cleaners the next morning. And, looking abroad, it seems to be the only law the Italians are obeying. My main point is that I thought this discussion was dead now. That people enjoy cleaner pubs and restaurants even if braving winter storms underneath an umbrella might be a bit uncomfortable. Tandleman opened the discussion on his blog a week ago. So far there are more than a hundred comments, with anonymous anti-ban commenters dominating with their not-too-subtle arguments. I didn’t know, for example, that the British fought WWII for us to be allowed to keep smoking indoors. Or that the ban has cost 100 000 jobs in Britain, not to mention families starving in the streets. … at the end of every year. Well, one country where they have started celebrating is Sweden, with an impressive list of Christmas beers at the state monopoly stores. The overview provided by Schnille och Schmak on their blog provided a handy shopping list when a few of us set out for Charlottenberg, a sleepy border town that would probably have population 112 or so if it wasn’t for the roaring border trade. Well, all the beers are not to be found at all stores, so some of the more obscure US brews were not available, but there was no problem filling the duty free quota..
Nie to see that Mikkeller has a broad Swedish distribution for one of his Christmas beers, this year named Fra via til. Assorted goodies from Germany, the US, England and Scotland, too. 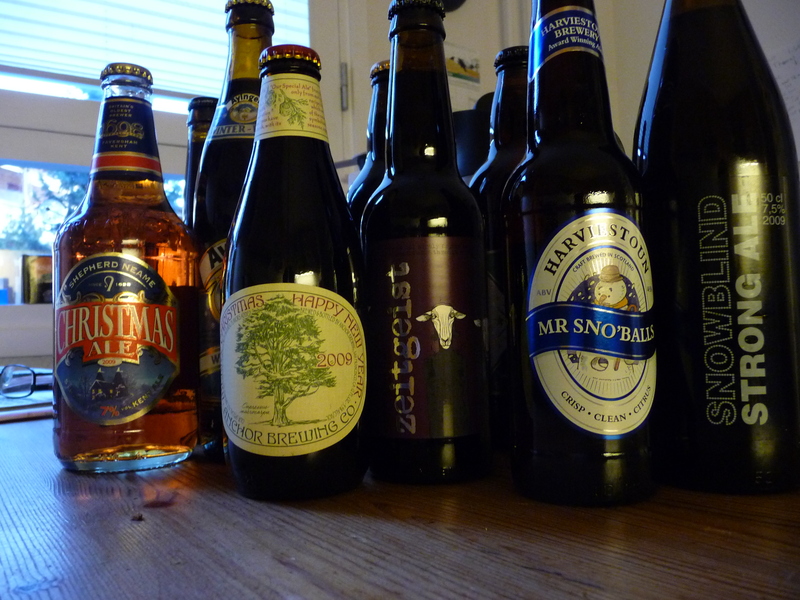 Among the Swedish beers, I probably have the highest expectations for the beers from Sigtuna, Nils Oscar and Jämtland. BrewDog has their Zeitgeist available at about 14 local kronor a bottle, so I bought a few bottles to try out with some traditional Norwegian Christmas fare and a few shots of aquavit. It turned out to be a very good match. My more loyal readers will know that I have a habit of turning up at a Christmas beer festival in East London in early December. In addition to the beers, there is also an assorted crowd of tickers and bloggers that I tend to hang out with, and a splendid time is guaranteed – if not for all, at least for me. So, what’s the line up this year? It’s not filled with incredible highlights forcing you to attend every session in case you miss a drop of history. But there should be something for everything here. 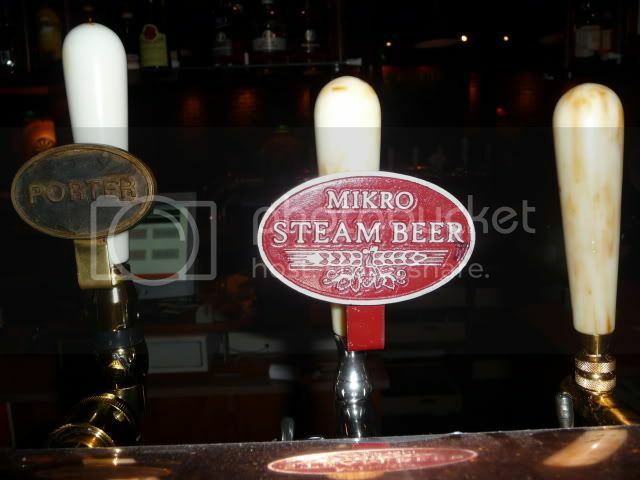 From the foreign beer list there is a Belgian sour ale plus a Mikkeller Christmas beer on tap. I suspect that this list is not complete, as there usually are some great German beers as well. Nothing Nordic from outside Denmark, which is fine by me, but some people might miss some highlights. No Italians either. 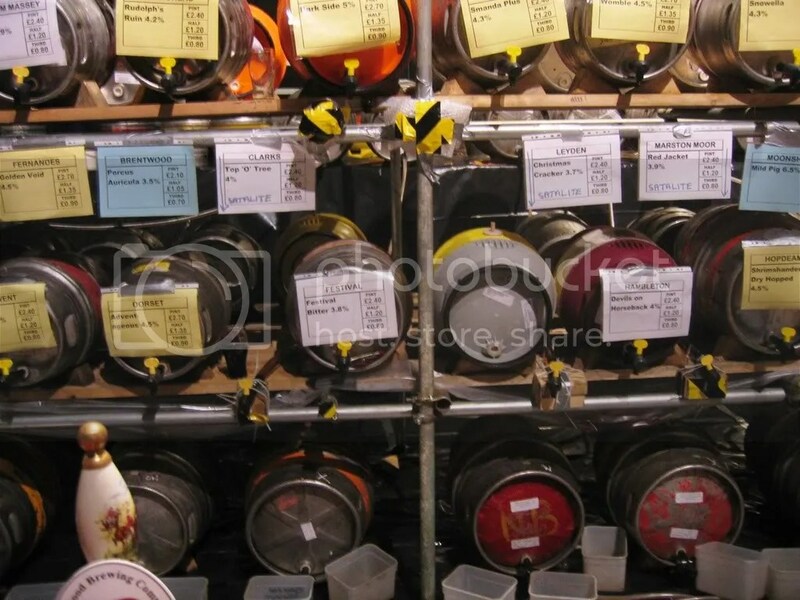 The main list of British cask beers has about 160 entries, and I have only tried a very few. Lots of stuff from small micros, it seems, hard to distinguish between many of them. I’ll make sure I get to try the new beers from Otley, Dark Star and Pitfield, as they have proved consistent quality over the years. The Wheel Ale from the new Steel City brewery will probably disappear fast. I’m a bit surprised that BrewDog is only represented by their 77 lager. Nothing wrong with that, but for an audience like this, I’d expect something from the more inventive end of their range. At the Copenhagen Beer Festival this year I was stressed by all the extreme beers I was unable to sample during my brief visit. At Pig’s Ear I can let my shoulders sink and enjoy decent session beers in good company. And, at the end of the day, it’s more enjoyable. Lots of new readers from the link at VGs juleøltest. I you wonder why I write in English, it is because most of my readers are outside Scandinavia. I try, however, to cover the Norwegian beers scene as well. For daglige oppdateringer om det norske ølmiljøet, se nyhetssider og diskusjonsforum hos Venner av Nøgne Ø. If you want to explore the best Norwegian beers, the Holy Trinity among the craft brewers now have a decent distribution through Vinmonopolet and the best beer bars of (at least) Oslo, Kristiansand, Stavanger and Trondheim. These three are Nøgne Ø, Haandbryggeriet and Ægir. I’m working on blog posts on various bars and pubs in Oslo, if you do a search for “Around Oslo” you’ll find the ones I’ve covered so far. And you’ll find beer travel reports from most of Europe, too. Not Estonia, Albania and Malta as yet, but pretty much the rest of them. 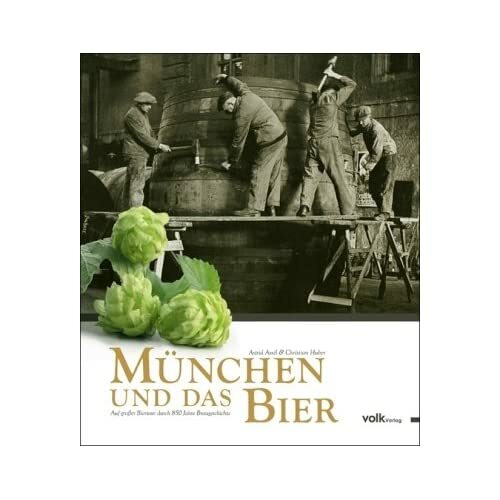 I have no plans of going to Munich, if so I would consider if this book was worth buying or not. But the cover is almost enough to make me order a copy right away! The BrewDog guys have been messing up the beer scene again – this time not even on their own turf. They sent a few used whisky barrels across the North Sea to their colleagues in Grimstad, Norway. And it looks like they inspired them to be a bit bold and boasting on their label, too. The beers used for the first batches of beer from the wood from Nøgne Ø were the Imperial Stout and their Christmas beer God Jul. 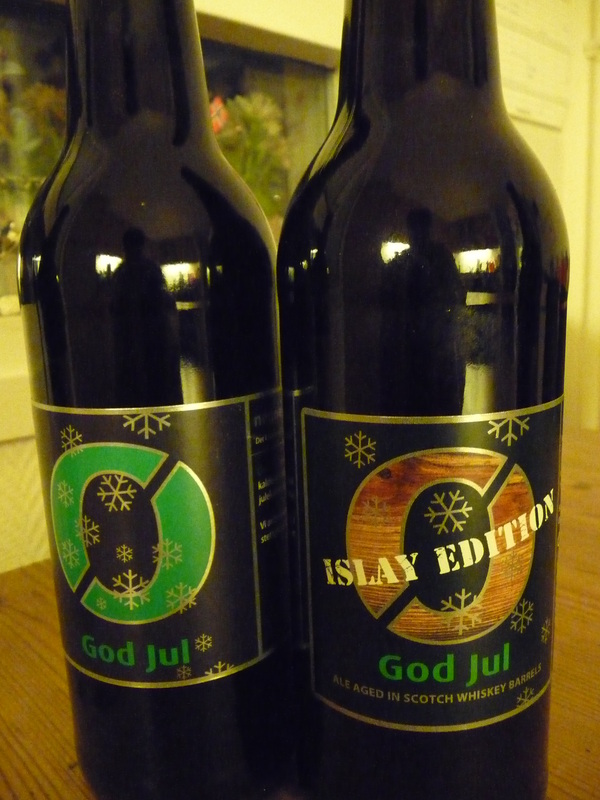 God jul is a rich, dark beer at 8.5% alcohol. Coffee, raisins, vanilla, a dry, almost oaky finish. Well balanced, a dark beer for cold evenings. Please be aware that this is not a subtle beer. If you are unable to appreciate Islay Scotch whiskey (that’s their spelling,, not mine! ), then this beer is certainly not for you. 3 months of aging in fresh Islay whiskey barrels did this. Certainly great for whiskey lovers, not necessarily so for those in search of moderation and balance. We love it though. There is a strong whisky aroma, lots of peat and smoke. Quite similar to the BrewDog Smokehead or the new Mikkeller whisky aged Beer Geek Brunch. And that’s just the nose. The peaty character is very strong. Some sour smoke too. Almost overwhelming, but not quite. The smoke plays with the beer base, like a layer of paint where the wood is shining through in places and you can feel its structure. 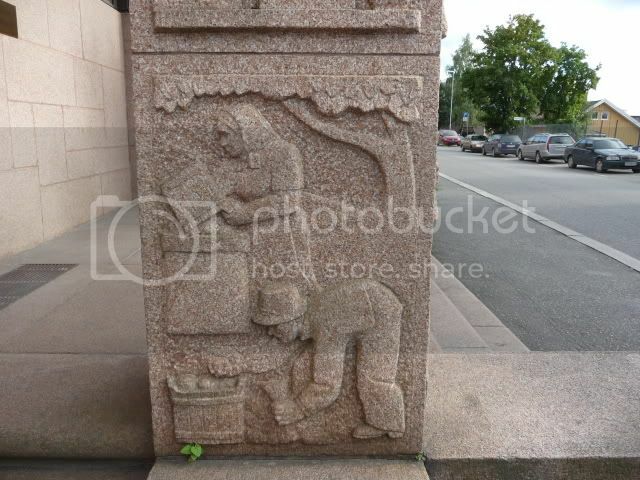 It is true that this is not subtle – the finer aspects of the flavour are run over. A new personal favourite? Hardly. But a very welcome addition to the Nøgne Ø range. It will be very interesting to follow this concept in the years to come, as far as I know there will be new barrels next year. I’ll keep a few bottles to compare. Or, at least, that is my intention. For some lucky readers there might be a few drops to had at the Pig’s Ear festival in two weeks.